Hello everybody! Long time no see! 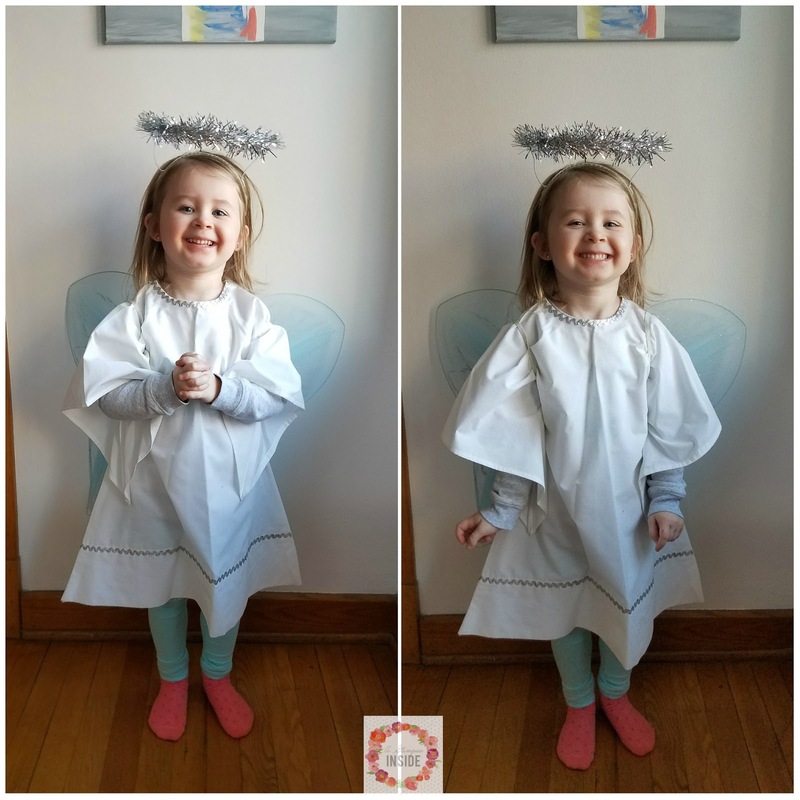 I have been really quiet lately, for a few reasons, but I thought I would pop in to share what we were up to in December. It was a pretty busy month with parties, family visiting, and sickness hitting the house but we made some fun memories. 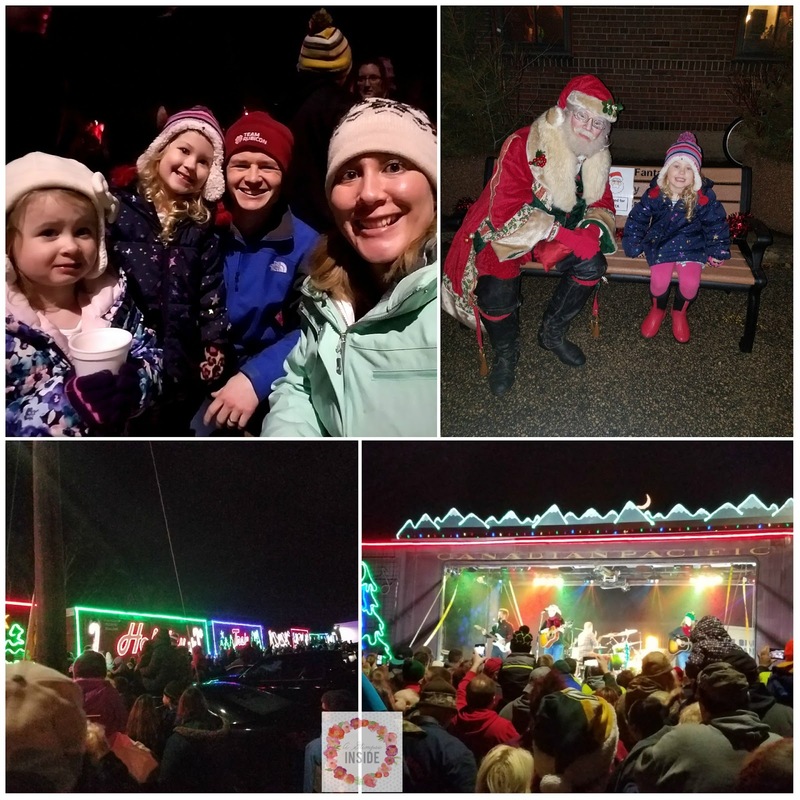 We started off the month with a night of fun with the Canadian Pacific Holiday Train. This is such a fun annual event and the weather was actually pretty warm for it this year which was good since the train was running a tad behind schedule due to some rain. We met up with our friends and had fun singing and dancing to some holiday music. Plus, we saw St. Nick! 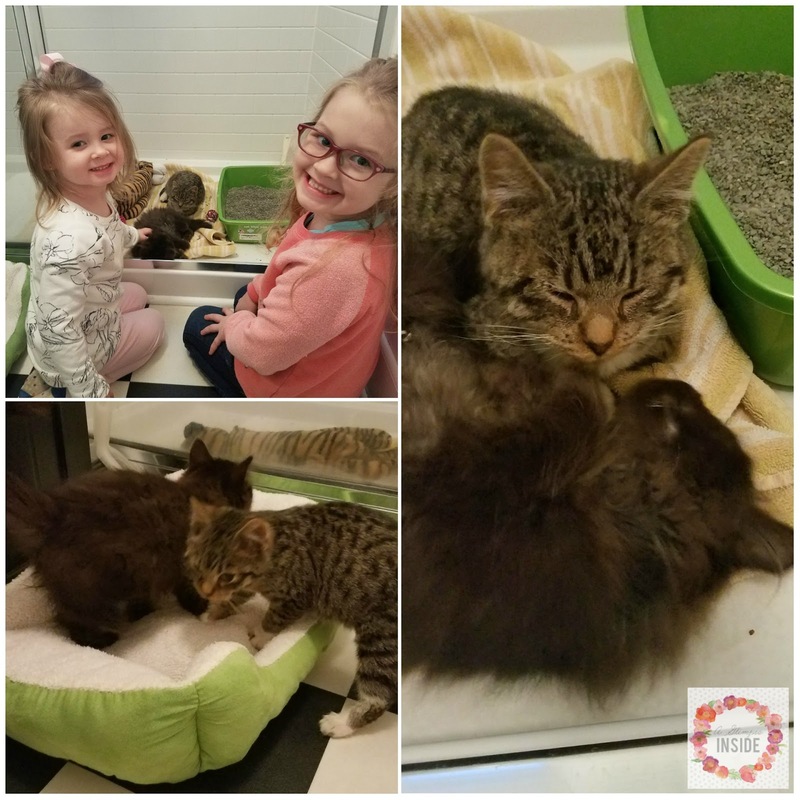 A few days later, we became foster parents to two adorable little kittens. These little siblings were fun little additions to have and the girls were so smitten with having baby kitties in the house. Travis's work Christmas party was at a large farm nearby that has an event barn and we had to go decorate the whole place. 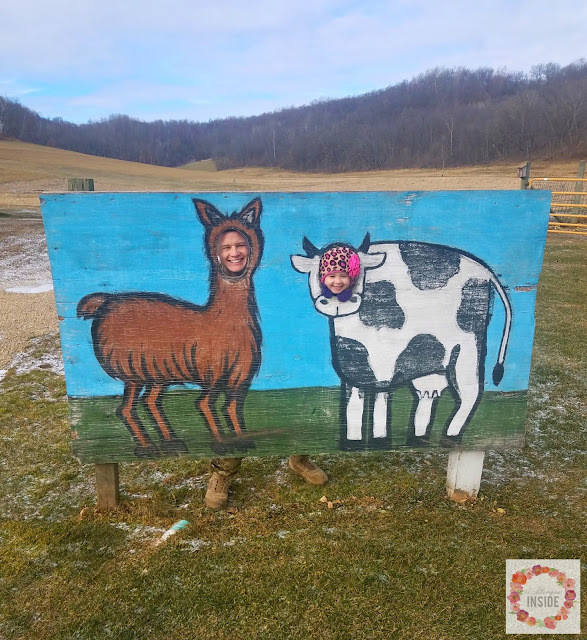 They have animals and Miss S had fun running around looking at them and playing with daddy. 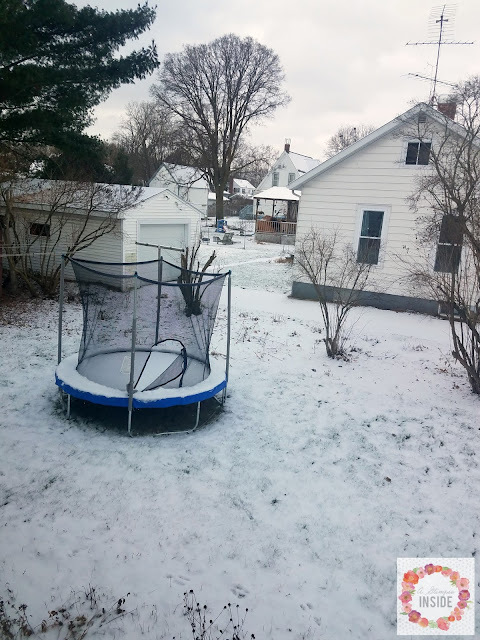 Our first snowfall came at the beginning of the month and we actually haven't gotten much since, which I am totally fine with! 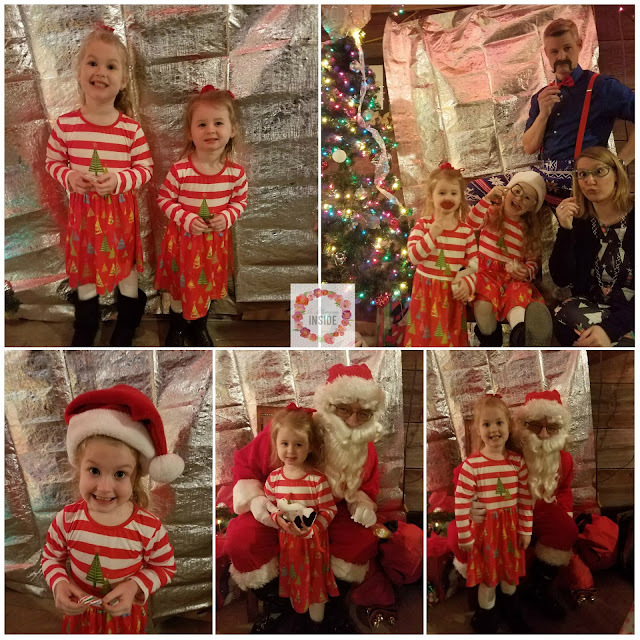 We had a fun time at Travis's work Christmas party and had a visit from Santa and both, yes BOTH, girls actually talked to him. We had to REALLY convince Miss S that it was ok to talk to him and even though she was reluctant. Back in April when my parents came for a visit they brought all sorts of old things that they still had, such as old toys and costumes. Miss S discovered this angel costume which was actually my Halloween costume when I was her age and the cutest little angel she did make! 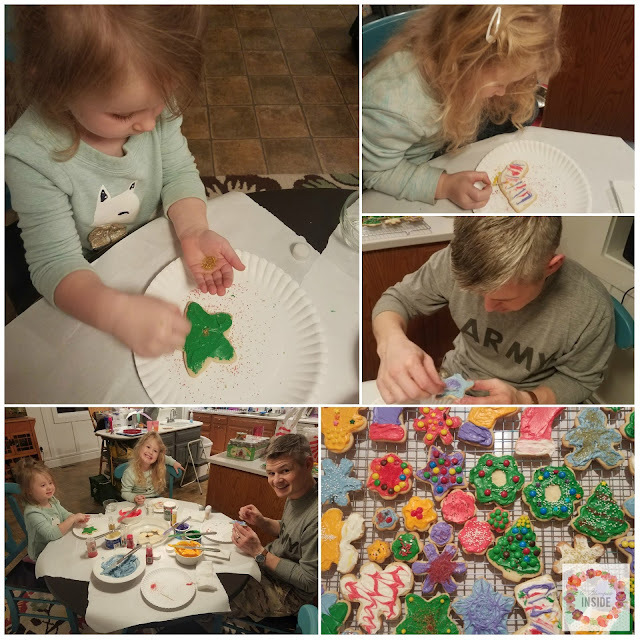 I spent time in the kitchen baking all sorts of cookies for out neighbors and the girls helped me make the sugar cookies before we had a large family night decorating the cookies. The girls had such a good time and the neighbors enjoyed their treats! Mid month, we were able to get out with some of our friends for a fun adult night out. 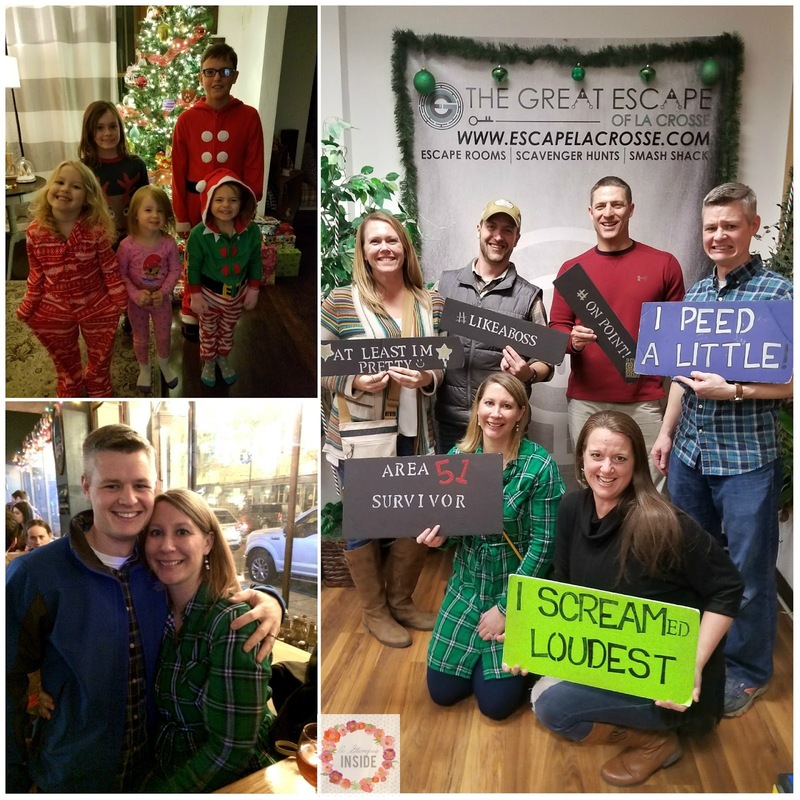 All the kiddos came to our house to hang out for the night with a babysitter while we all went to eat and to an escape room. We had a great time solving the clues to get out of the room and managed to get out but with only 10 seconds to spare! We were so glad we were able to have that night as our group of friends got smaller since one of them just moved to their next duty station. 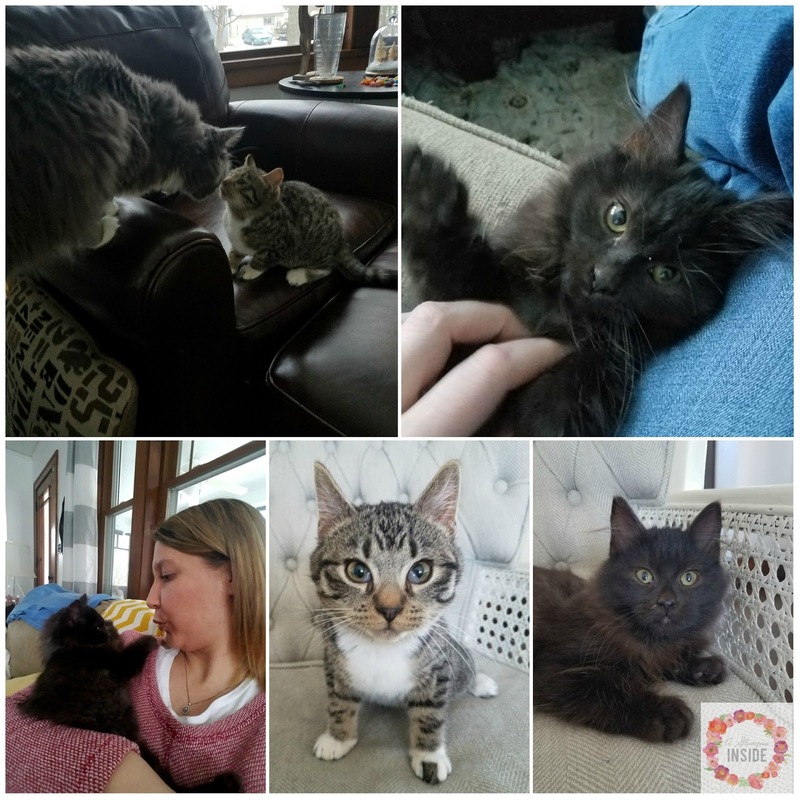 We enjoyed our little fur babies for 2 weeks before returning them back to the shelter for adoption right before Christmas and thankfully both of them were in their forever home in time for Christmas. I will say though, if we didn't have two cats already, the little black one would have been ours in a heartbeat she was such a little sweetheart. Now onto fostering other sweet babies! Our annual Christmas craft night occurred the week before Christmas.We made our usual painted clear ornaments and then the girls decorated a wooden tree ornament as well. 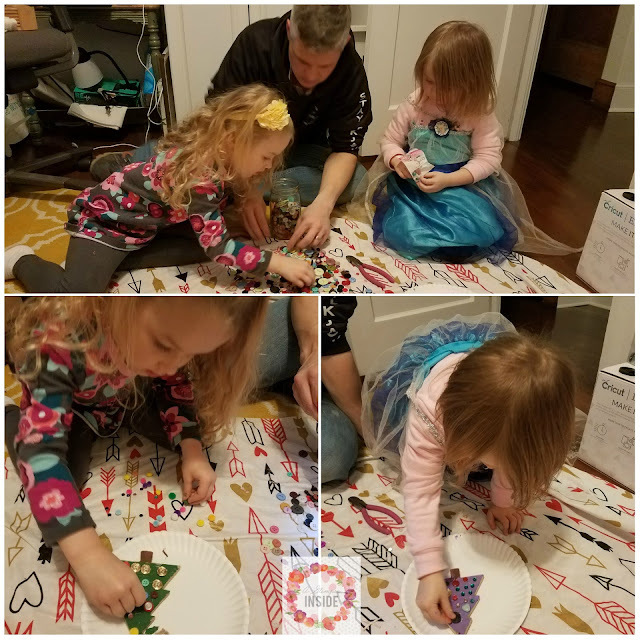 They love getting crafty and it is a fun tradition that Travis and I started when we were dating that we've continued. Miss S had her first school Christmas party. 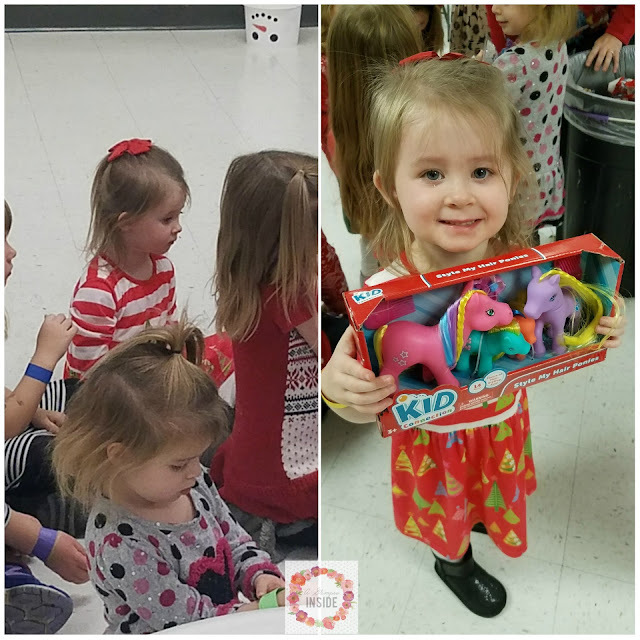 They played all sorts of games and did some cookie decorating before having a gift exchange where Miss S got this fun pony set which she was thrilled about. 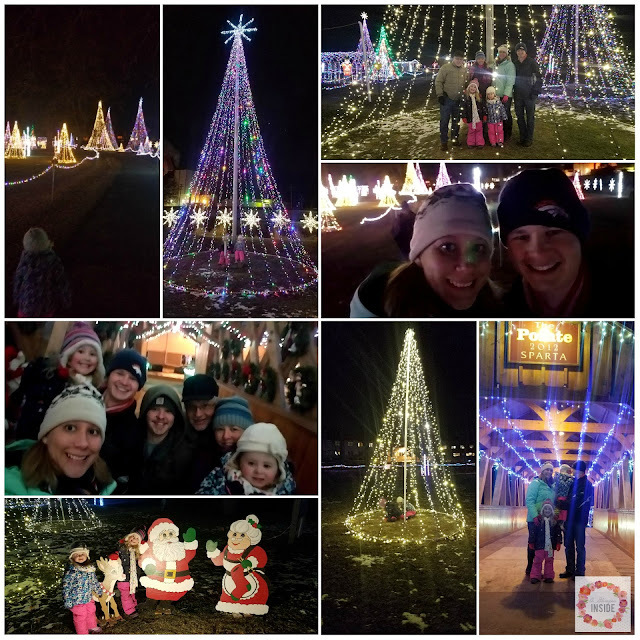 We had to make another visit to Santa before Christmas so we went to see him in the park near our house where all the holiday lights are. 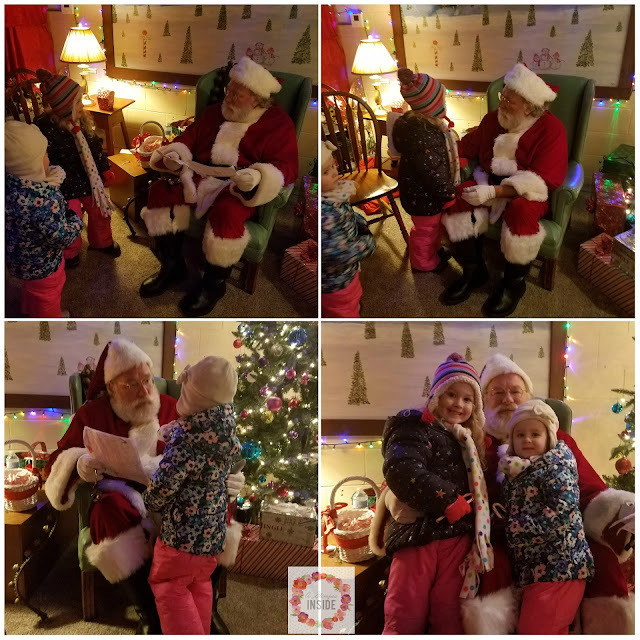 Again, it was a miracle in which both girls talked to him and I got a picture of both of them with Santa. This is huge and Miss S actually was willing to talk to him this time. Travis's parents and brother came to visit us for the first time over Christmas this year so we took them to explore all the lights in the park with us one evening for a night of fun. 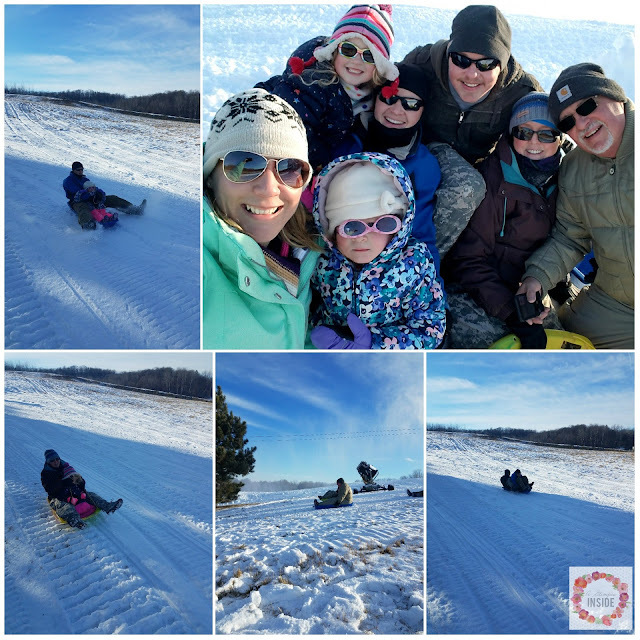 A day of sledding with the whole family was also on the schedule before Christmas. We went on post to the ski hill and had fun racing each other down the hill. The girls were so ready for Christmas Eve and got all in their Christmas pjs, helped set our cookies and milk for Santa and were than eager to go to bed. 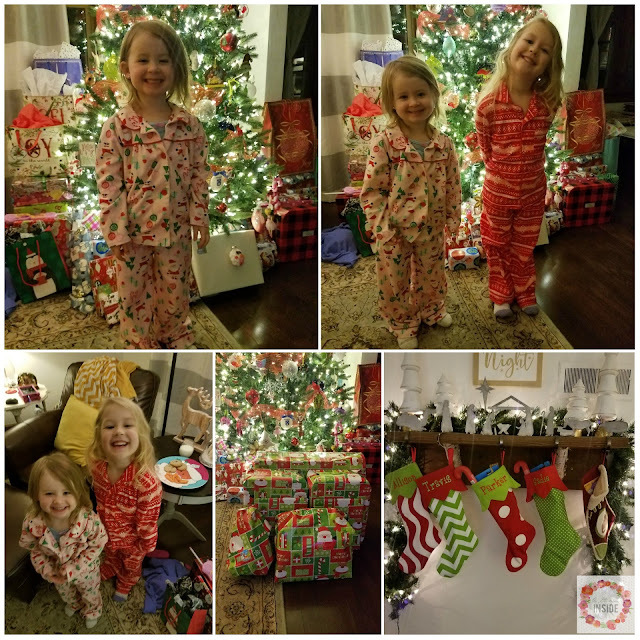 Santa was pretty generous this year when he visited bringing each of the girls things they asked for. 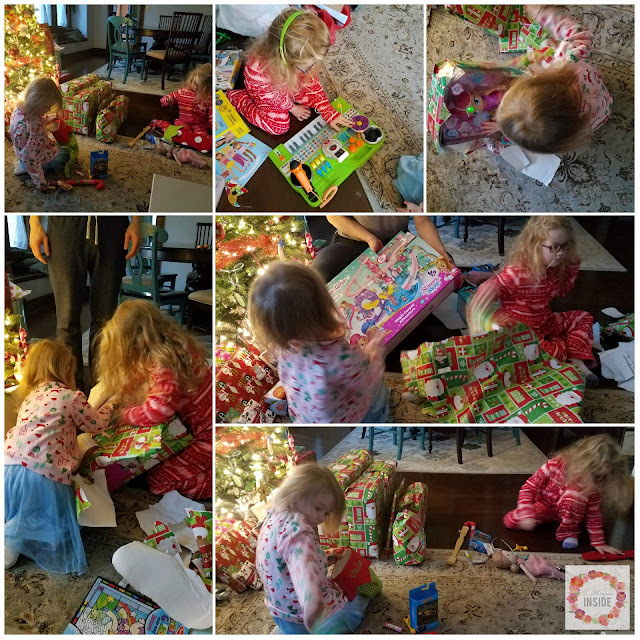 Chrismas morning was packed full of tons presents for the girls followed by opening everything to play with the rest of the day. It was a huge success! 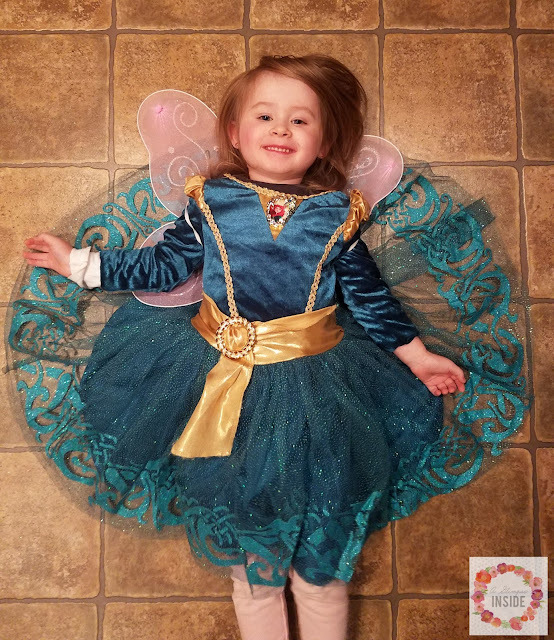 Miss S loves dressing up, LOVES IT, and she looked awfully cute in her new Merida dress she got as a gift. 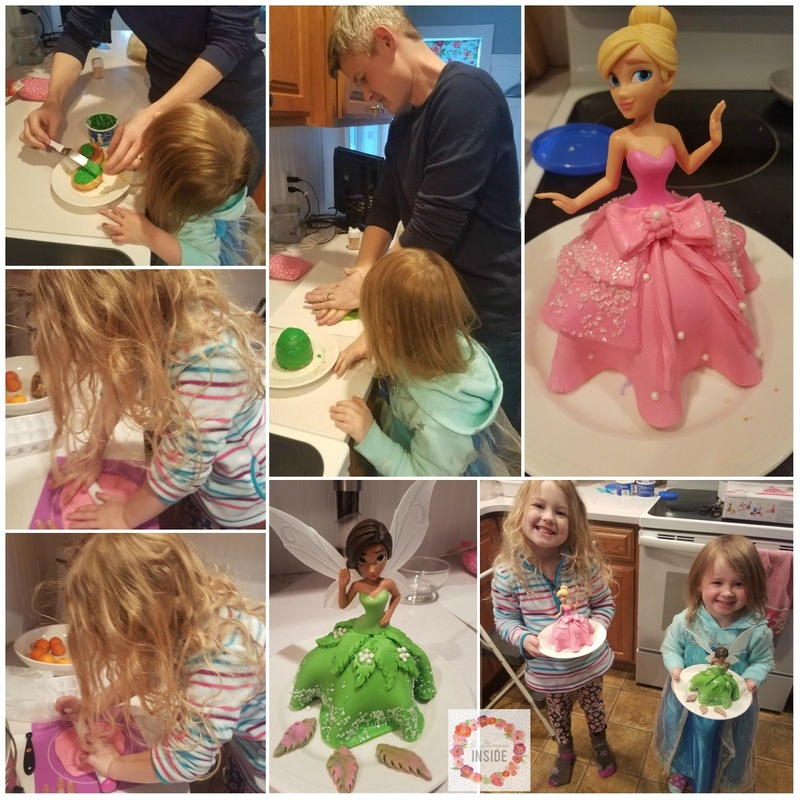 The girls were so excited for this gift from their Aunt Rissa and wanted to make it right away so Travis and I helped them make these super cute cakes and they were so proud of the results! The end of the month we went over to Wisconsin Dells for a fun night of dinner where our food was delivered on a train. The girls thought it was so cool! 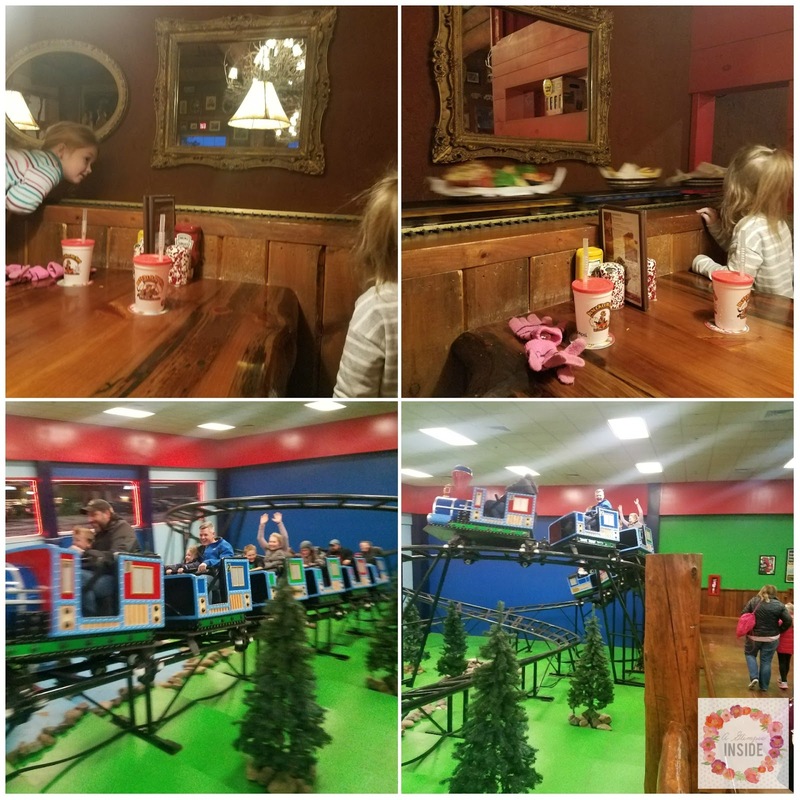 We then walked to a different area of the restaurant for some more fun. Unfortunately we didn't get to stay too long as Miss S suddenly came down with a high fever and was not feeling well so we had to head home. Thankfully Miss S was better just in time for us to still have our fun New Year get together at our house. 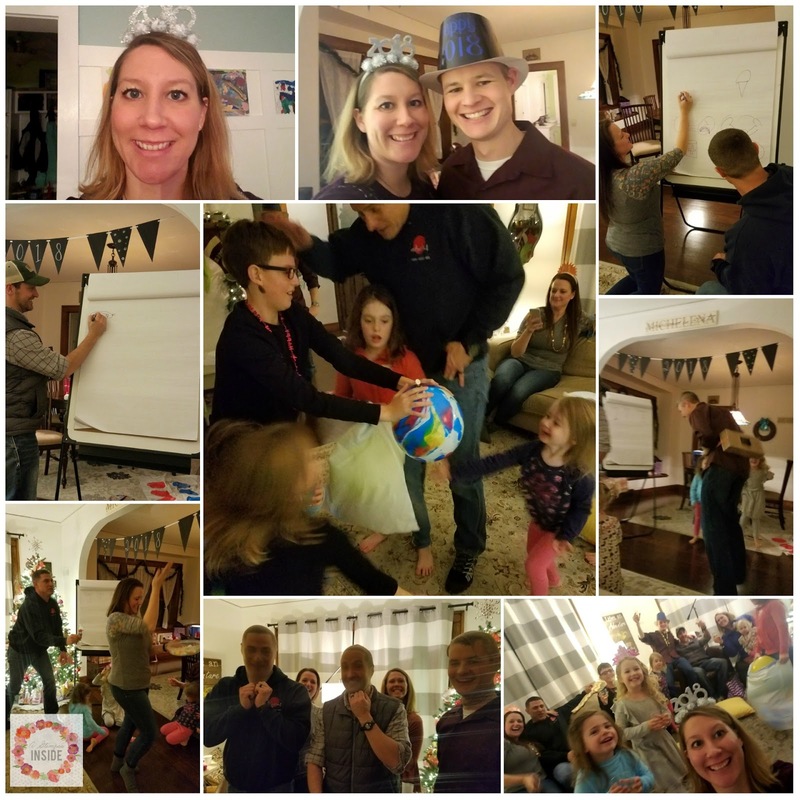 We had yummy food, played lots of games, had a mock ball drop for the kiddos and just a grand ole' time with friends that are more like family! It was the best way to bring in 2018! Travis took off the last 2 weeks of the month so it was nice having him home for a while. Unfortunately, one or all of use has been sick since the week before Christmas and we are still fighting colds or a virus. Hoping we all heal soon! It was great seeing and spending time with extended family and friends this year for the holidays. What a great December you guys had. Your girls are adorable!! I loved their dresses for Christmas.